Friends, we invite you to Coastal Bend Health Foods for the freshest and most delicious produce in town. We are picking produce as fast as we can and delivering it fresh daily. Stop by Kimmi’s store and discover the difference our heritage farming methods bring to the flavor and health of your food. Our tomatoes are simply incredible this year. We are giddy with tomatoes, eating them continuously even as we pick them. 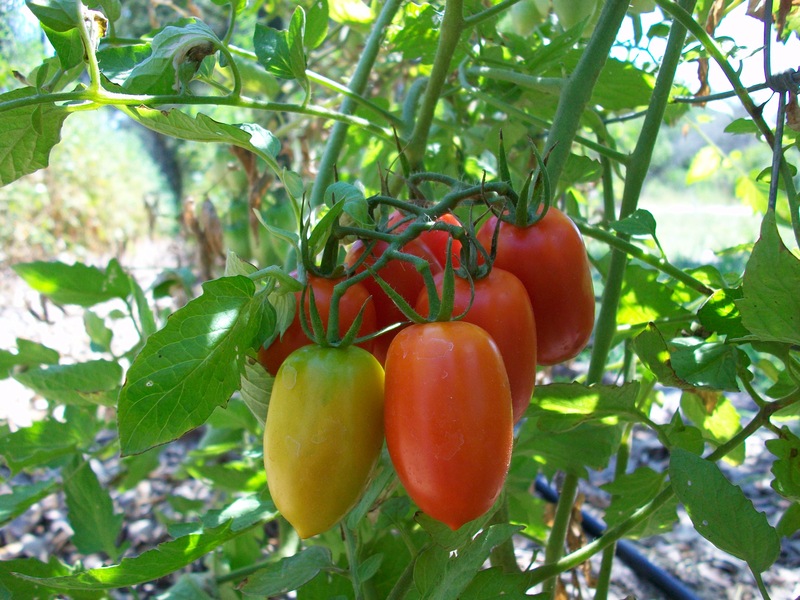 We offer more than ten varieties of freshly picked tomatoes: big fat sweet red tomatoes and little tart cherry tomatoes and everything in between. As Kayla and I sample the fruit, we find that each tomato has its own unique flavor–even the same varieties in different areas of the garden take on their own flavor. Our years of investment into the soil is paying amazing dividends. Every single tomato is wonderful. 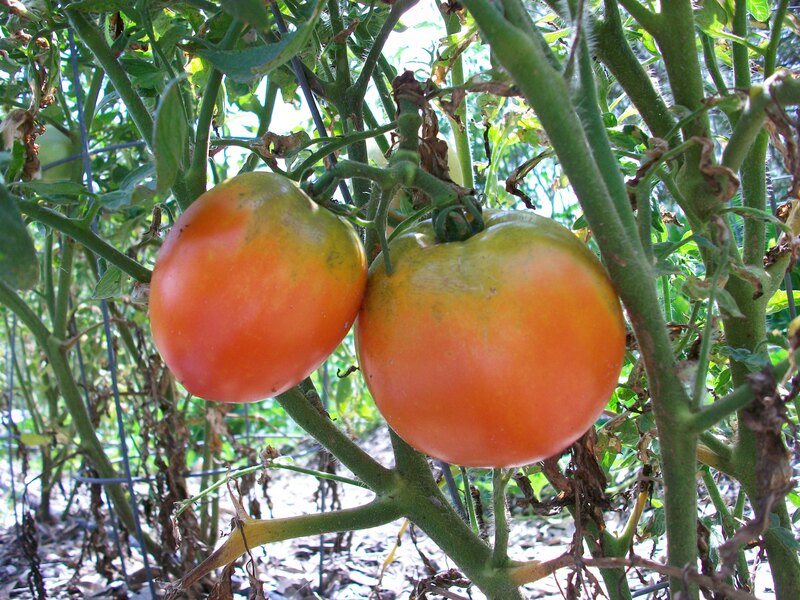 If you want to try the very best of freshly picked, ripe red tomatoes, stop by Coastal Bend Health Foods today. We also offer cucumbers, crisp and delicious, and black beauty and Japanese eggplant. We have butternut squash, zucchini, scallopini, and spaghetti squash. 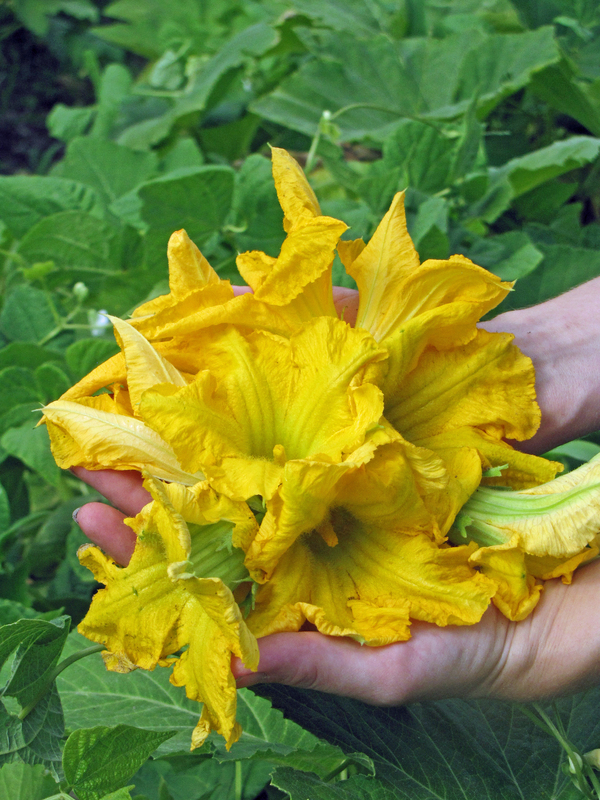 We also have a new batch of beautiful edible squash blossoms, perfect for stuffing with ricotta, cream cheese, or other fillings, and so delicious. Our sweet corn has come in. Our Tres Hermanas gardens continue to supply an amazing bounty of produce. For a real treat, try our sweet corn on the grill with a little butter and salt. 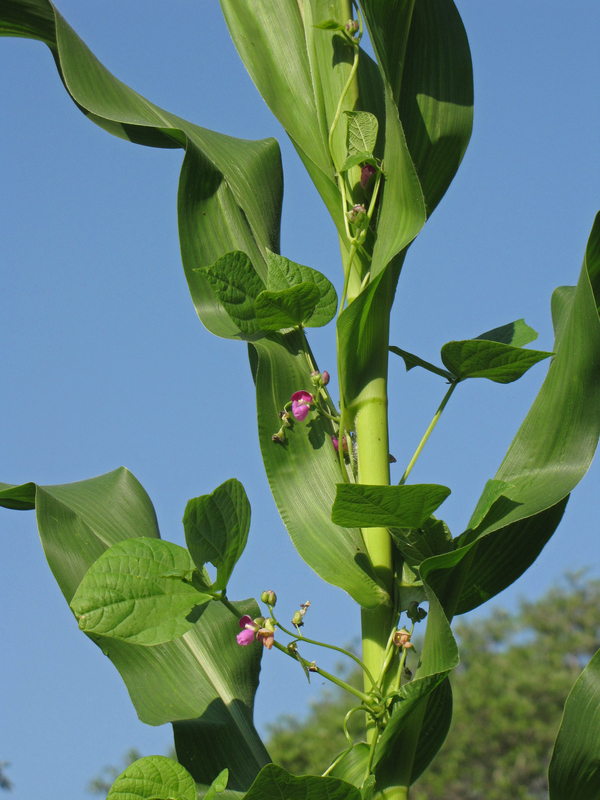 We offer five varieties of sweet corn and various heirloom beans daily. We offer Thai, serrano, and jalepeno peppers and also sweet peppers. We offer fresh basil, mint, and oregano daily, as well as fresh ginger from our garden. For the best tea in town, boil our crushed ginger for ten minutes and add a handful of mint and some local honey from Kimmi’s store. It is so good and so healthy. Enjoy fresh broilers in the 4 and 5 pound range, as well as half-chickens, perfect sizes for roasting. We offer blue, green, dark brown, and speckled eggs, lovingly gathered every day. Get the grill ready for pork chops! If you love hamburgers, try using our ground pork for the best burger ever. We also have roast, ribs, and bacon. Thank you friends for shopping locally! Please enjoy!